An illuminating debut memoir of a woman in science; a moving portrait of a long-time collaboration, in work and in life; and a stunningly fresh look at plants that will forever change how you see and think about the natural world.Acclaimed scientist Hope Jahren has built three laboratories in which she's studied trees, flowers, seeds, and soil. Her first book might have been a revelatory treatise on plant life. Lab Girl is that, but it is also so much more. Because in it, Jahren also shares with us her inspiring life story, in prose that takes your breath away. Lab Girl is a book about work, about love, and about the mountains that can be moved when those two things come together. It is told through Jahren's remarkable stories: about the things she's discovered in her lab, as well as how she got there; about her childhood--hours of unfettered play in her father's laboratory; about how she found a sanctuary in science, and learned to perform lab work "with both the heart and the hands"; about a brilliant and wounded man named Bill, who became her loyal colleague and best friend; about their adventurous, sometimes rogue research trips, which take them from the Midwest all across the United States and over the Atlantic, from the ever-light skies of the North Pole to tropical Hawaii; and about her constant striving to do and be the best she could, never allowing personal or professional obstacles to cloud her dedication to her work. Jahren's insights on nature enliven every page of this book. 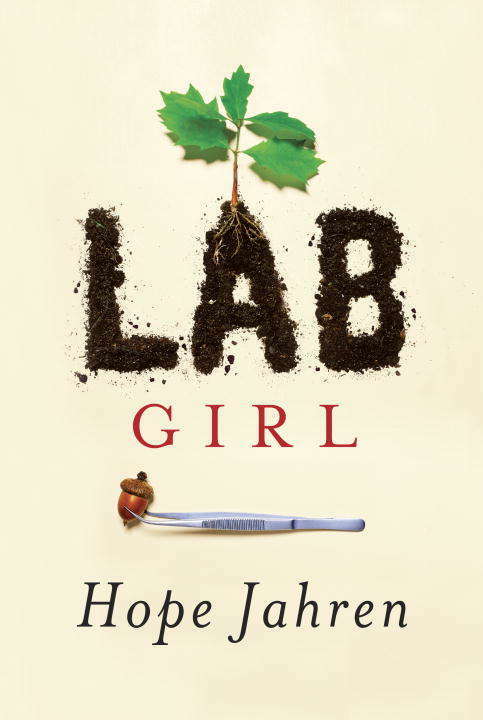 Lab Girl allows us to see with clear eyes the beautiful, sophisticated mechanisms within every leaf, blade of grass, and flower petal, and also the power within ourselves to face--with bravery and conviction--life's ultimate challenge: discovering who you are.From the Hardcover edition.